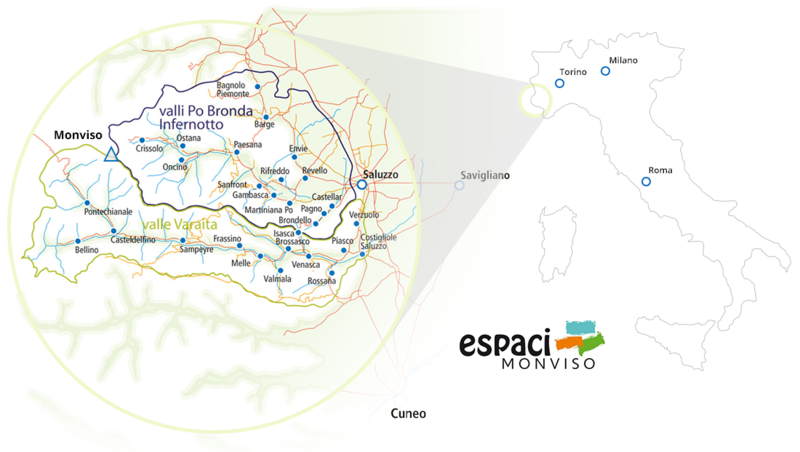 The valleys Po, Bronda Infernotto and are a blend of past and present, reality and legend. Here nature, history, art and architecture meet and mingle with each other. The territory does not need much introduction, naming the Po valley in fact immediately evoke those who, in the collective, they have become the symbol par excellence: the longest river in Italy, the Po, starts from here, from the feet the high Monviso, Vizou for the people of the upper valley Po, a presence that has consistently defined the visual horizon and, in many cases, that of a lifetime. Along the Po valley, we can also find evidence of an ancient and glorious past: petroglyphs, monasteries, abbeys, but also simple country chapels, known not so much for their artistic and architectural quality, but rather for the devotion shown here in the past by local population, and finally the production of food and wine that boasts genuine peculiarities and characteristics, together with a strong tradition of craftsmanship in the wood industry.